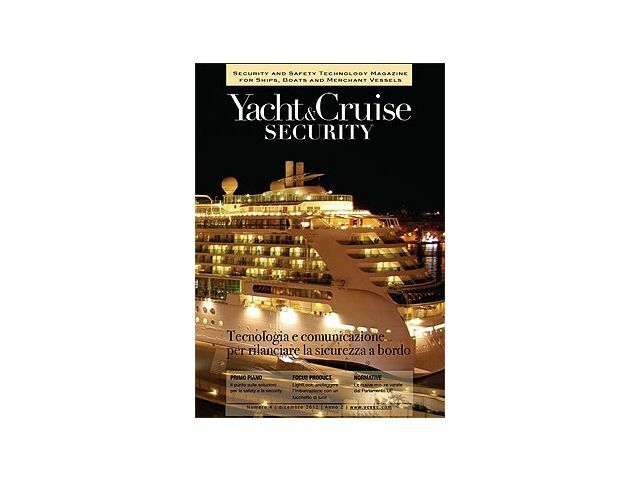 Yacht & Cruise Security is the first magazine offering a full, 360° in-depth view of all safety & security issues in the nautical design and manufacturing sector. Safety and security are multi-faceted aspects, hence Yacht & Cruise Security is the ideal solution to keep up-to-date with new topics, legislation and technology innovation to ensure on board prevention and enhanced safety/security, for a total peace of mind. Nautical designers, naval manufacturers and entrepreneurs will find this tool essential to make sure all legislations are complied with and to make informed decisions on the new technology; as for technology players - manufacturers, distributors, system integrators, installation experts - the magazine provides them with useful guidelines to select the right, most innovative solutions on the market. Yacht & Cruise Security is also the "one-stop shop" for yacht captains and safety officers on cruise ships. With topics ranging from security and safety, automation and integration, to training, logic safety and insurance / legislation aspects, the magazine offers an in-depth overview of technology and new applications with highlight articles, interviews, expert opinions, features on applied solutions, ongoing projects and new product launches. nautical designers, yacht and mega yacht manufacturers, maintenance and refitting shipyards, boat safety experts, yacht captains. opening a discussion and provide an opportunity to shipyard technical experts, designers and buyers to keep up-to-date and swap opinions.